UAE crown prince visits Samsung's Hwaseong plant. February. 27, 2019 07:39. by Ji-Hyun Kim, Sang-Jun Han jhk85@donga.com,alwaysj@donga.com. 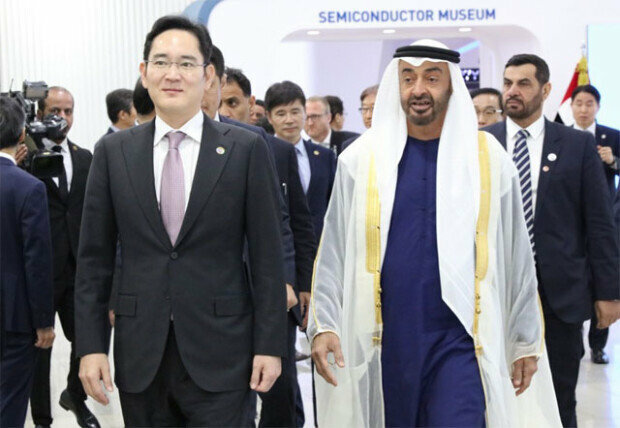 United Arab Emirates (UAE) Crown Prince Mohammed bin Zayed al-Nahyan on Tuesday visited Samsung Electronics’ semiconductor plants in Hwaseong, Gyeonggi Province and met with Samsung Electronics Vice Chairman Lee Jae-yong. 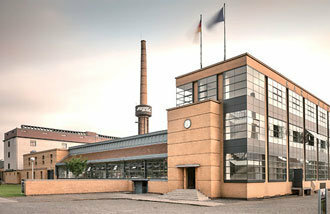 Lee gave him a tour of the sites, including 5G equipment and chip fabrication plants. Earlier this month on Feb. 11, the two discussed collaboration on 5G network business in Abu Dhabi. “Middle Eastern countries are highly sensitive about 5G network security. It appears Vice Chairman Lee is working to gain a competitive edge in the Middle Eastern market by touting Samsung’s high level of 5G technology,” said one industry source. At their meeting, Samsung Electronics reportedly highlighted that it is the only company in the world that is highly competitive in the global market in all 5G related areas, including network equipment, cellphones, and chip sets. The Crown Prince wrote in a guestbook that he was deeply impressed by innovation and state-of-the-art technology at Samsung that are making people’s lives better and the United Arab Emirates is highly interested in introducing a new technology and supports businesses that contribute to society. Samsung Electronics gave the Crown Prince a 12-inch wafer with a commemorative message written on it as a gift. Ahead of the “Dubai Expo” in 2020, the United Arab Emirates is planning to make a huge investment in 5G mobile communication system to become the first country to commercialize the service in the Middle East and Africa. The country is also building an 18-billion-dollar smart city called “Masdar City” in Abu Dhabi.